A bucket list typically consists of goals you would like to accomplish in your lifetime. 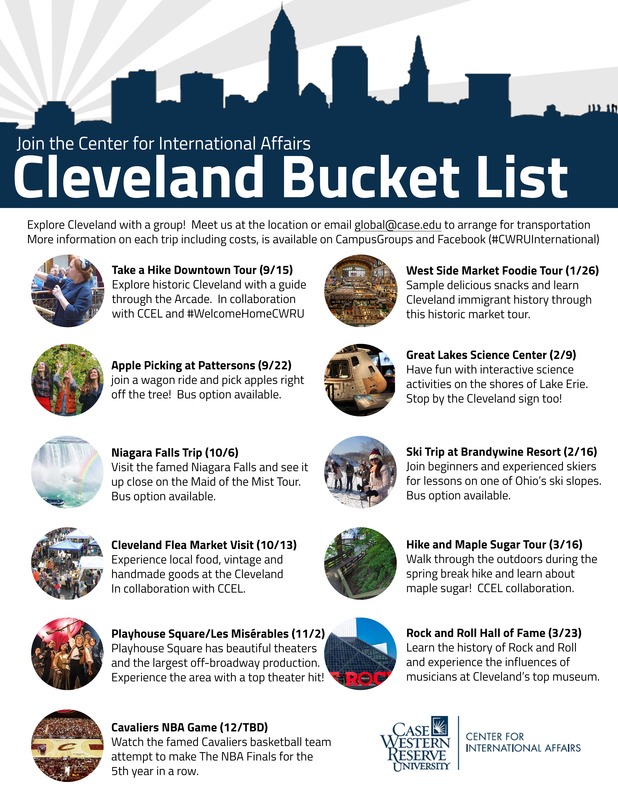 The Cleveland Bucket List is for CWRU students and features fun and interesting places to see and things to do off campus before graduation. The Center for International Affairs organizes trips or outings every month to help students experience Cleveland and U.S. culture. Events include Cleveland Cavaliers games, tours of the West Side Market, skiing, hiking and more! Students can register to participate in Cleveland Bucket List events on CampusGroups.